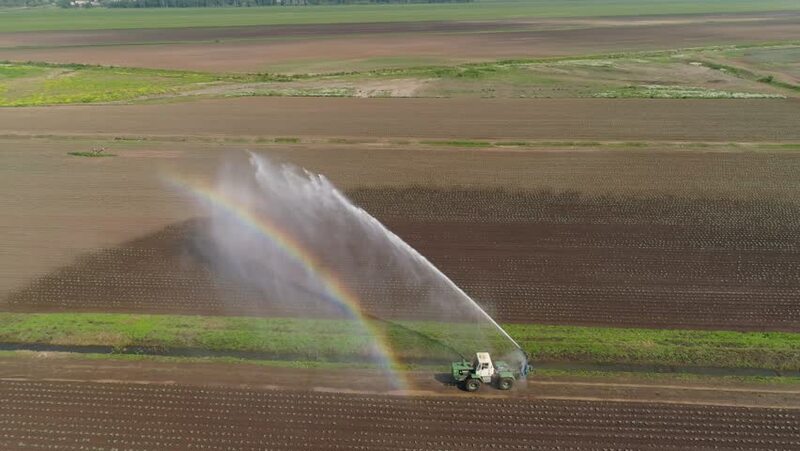 Aerial view of Crop Irrigation using the center pivot sprinkler system. An irrigation pivot watering agricultural land. Irrigation system watering farm land. hd00:30Florida City, Florida/ USA. November 3, 2015. High Aerial view of 3 Truck mounted water cannons watering a field in South Florida. This view looks Northwest at an overcast sky and clouds on horizon.